Farm to Brew Summit (formerly the Hop Market) September 24! Join Flying Dog Brewery, the Northeast Hop Alliance Mid-Atlantic Chapter, and the Brewers Association of Maryland for the annual gathering of agricultural producers and brewers. Formerly known as the Hop Market, this event will bring together those who grow amazing ingredients (hops, grains, fruits, herbs) for beer, with those who make amazing beer! We’ll also have panels of experts, an update on the UMD hop yard, local ingredient beer sampling, and a keynote speaker. 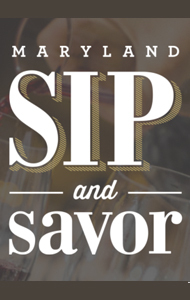 Pick up a copy of Maryland Sip and Savor Magazine at a member brewery, click the magazine or here to view.